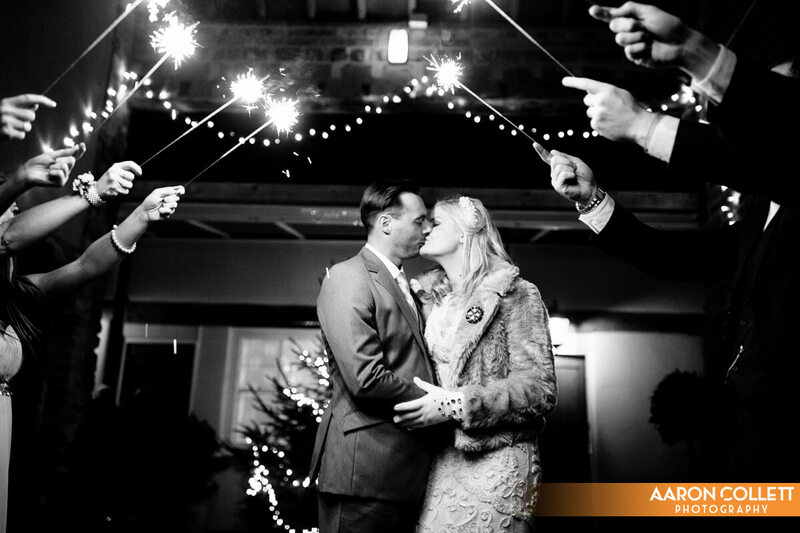 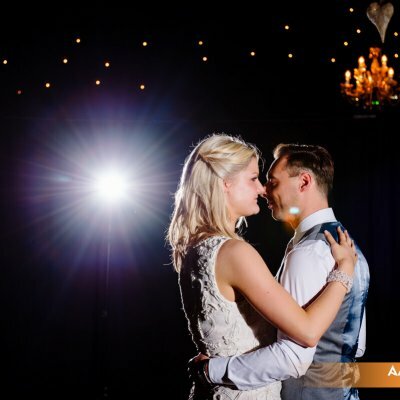 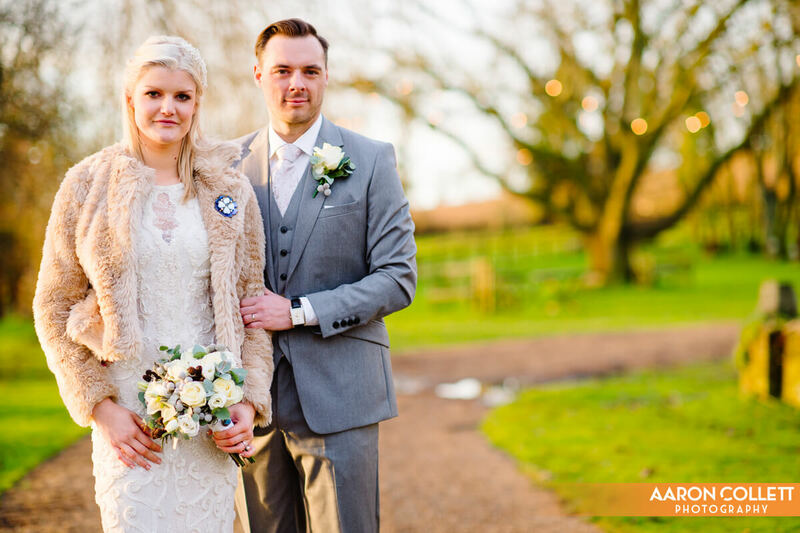 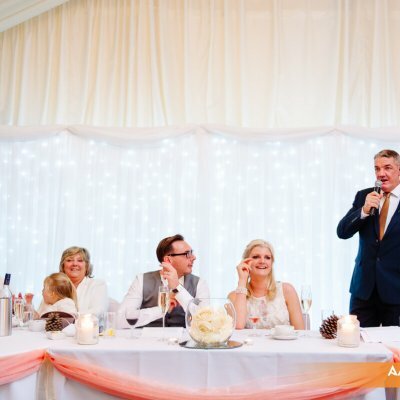 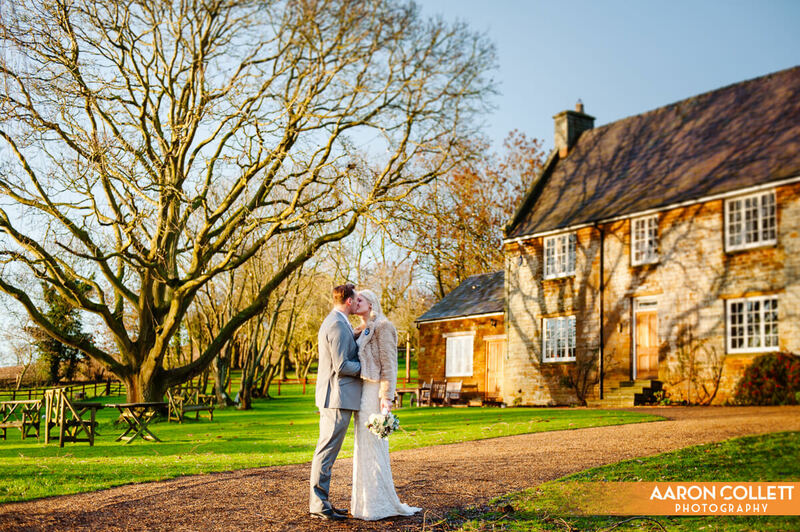 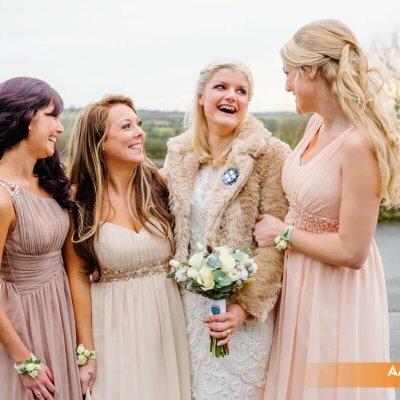 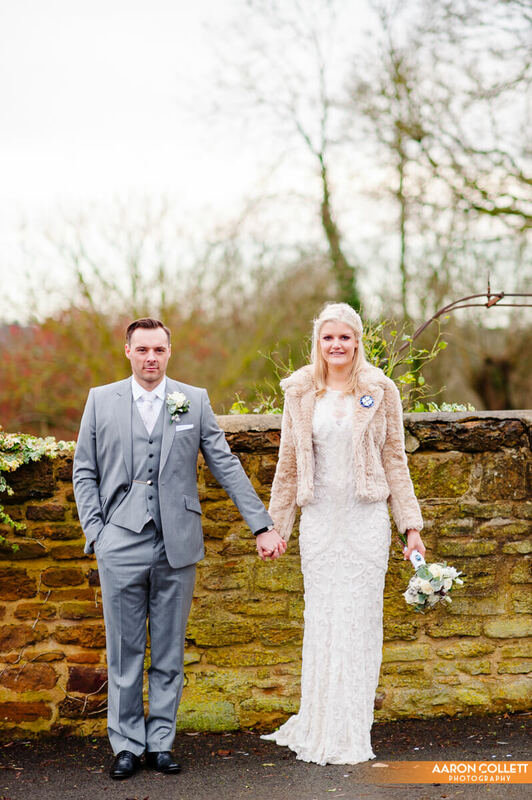 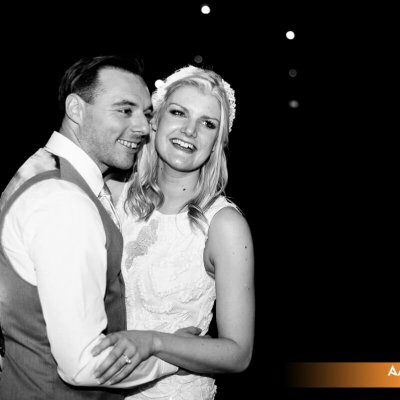 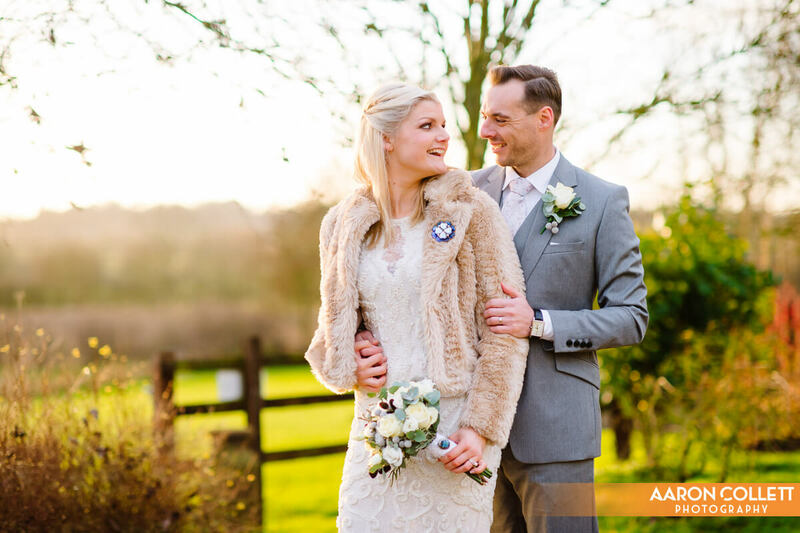 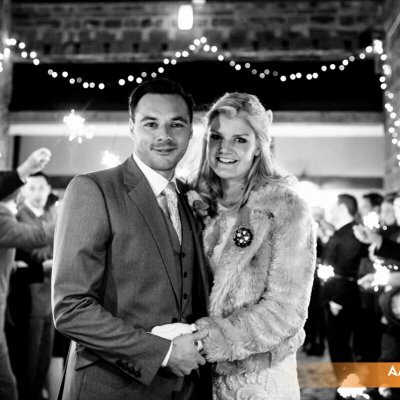 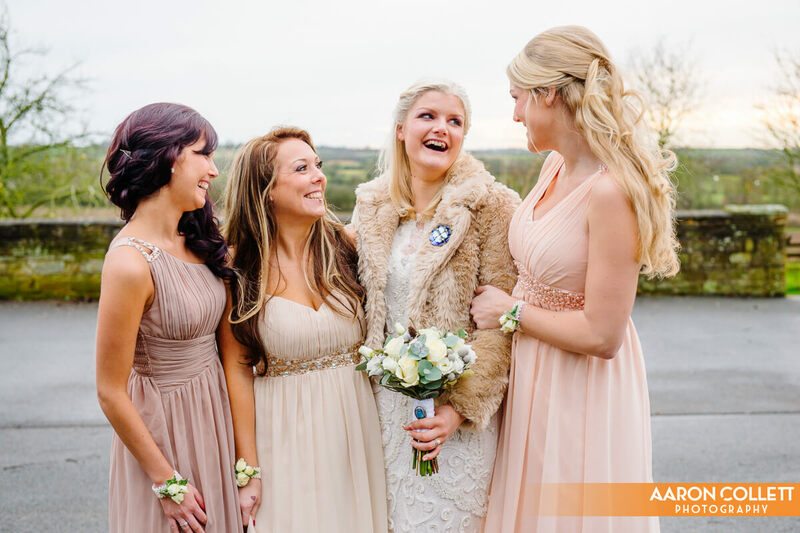 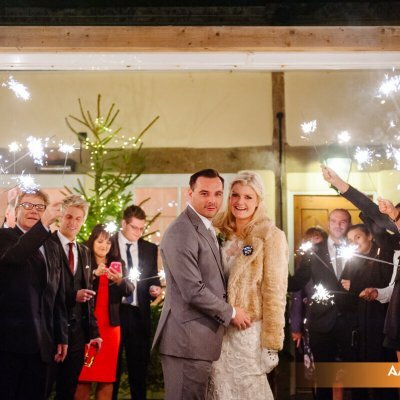 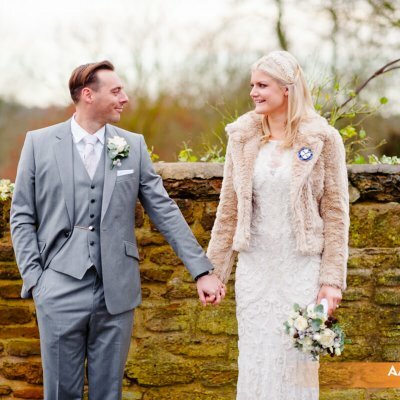 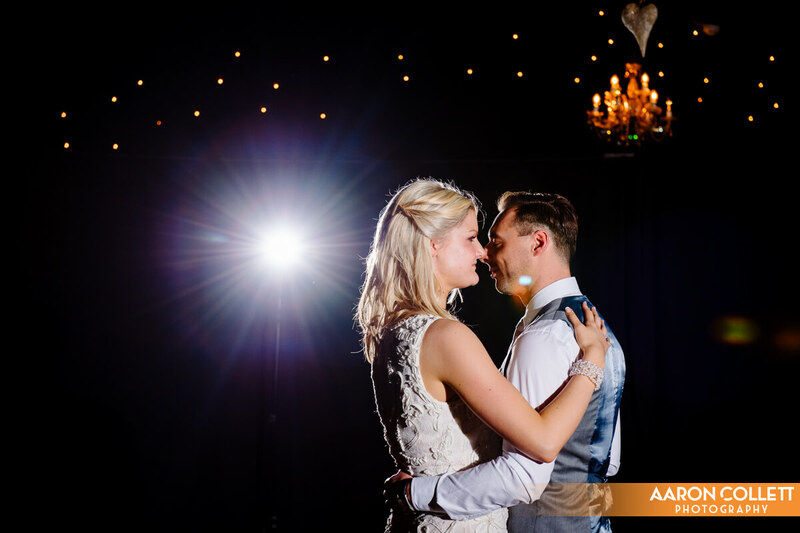 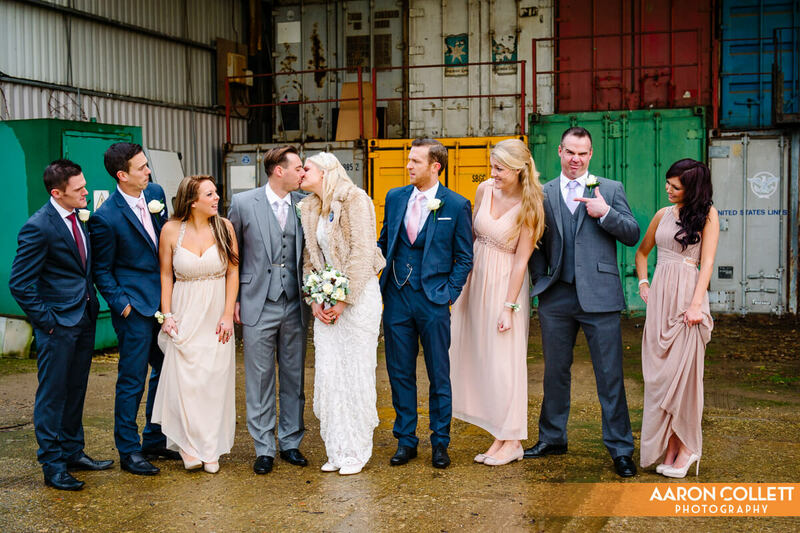 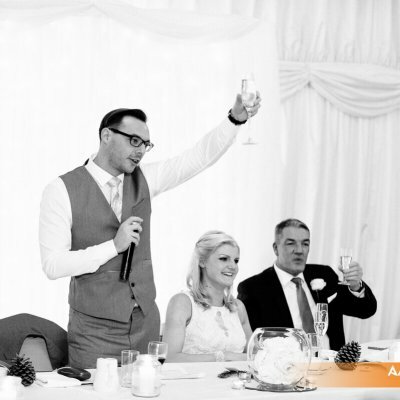 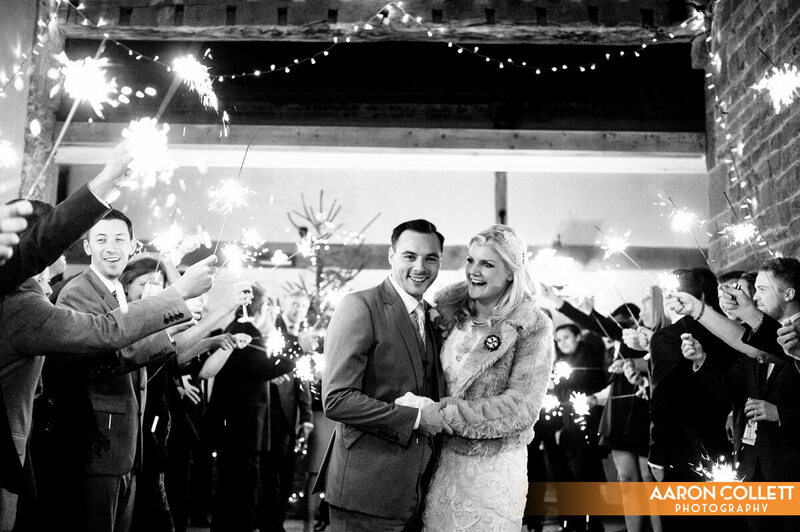 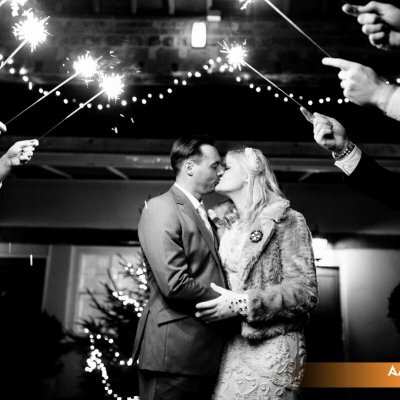 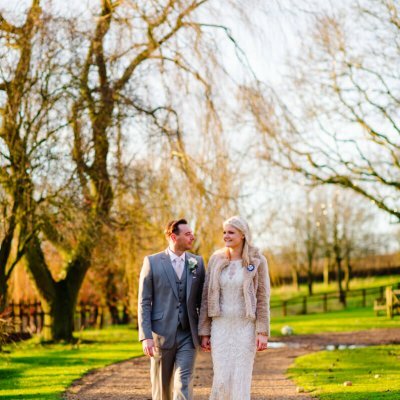 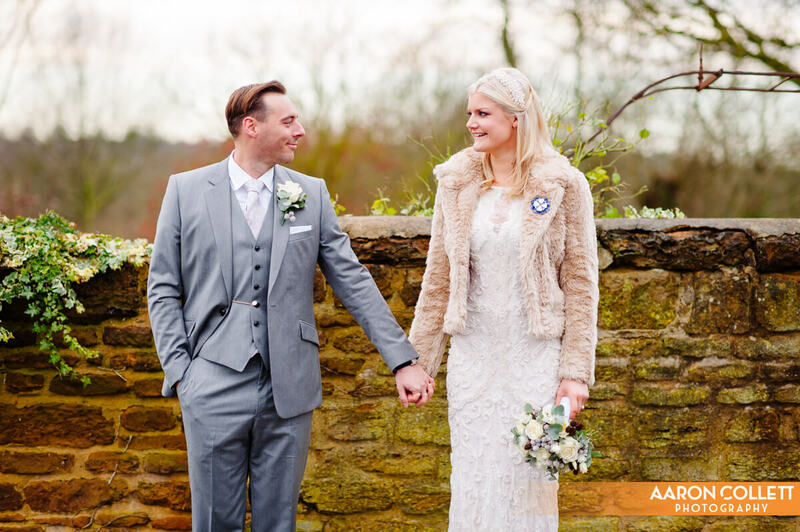 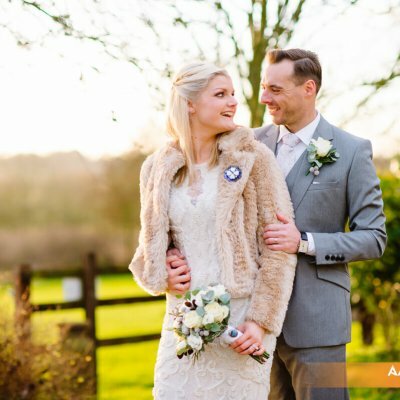 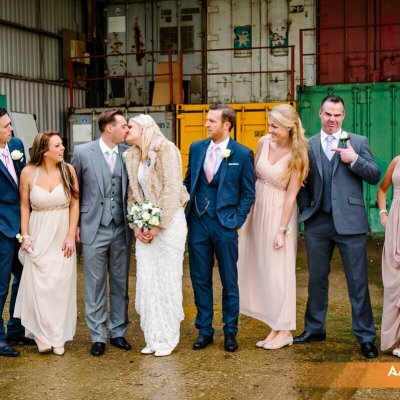 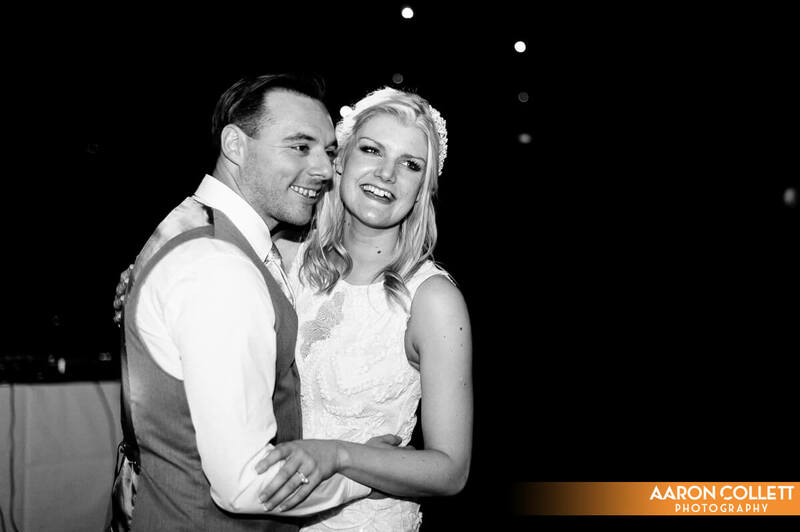 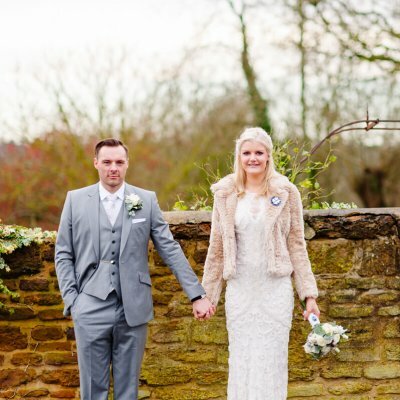 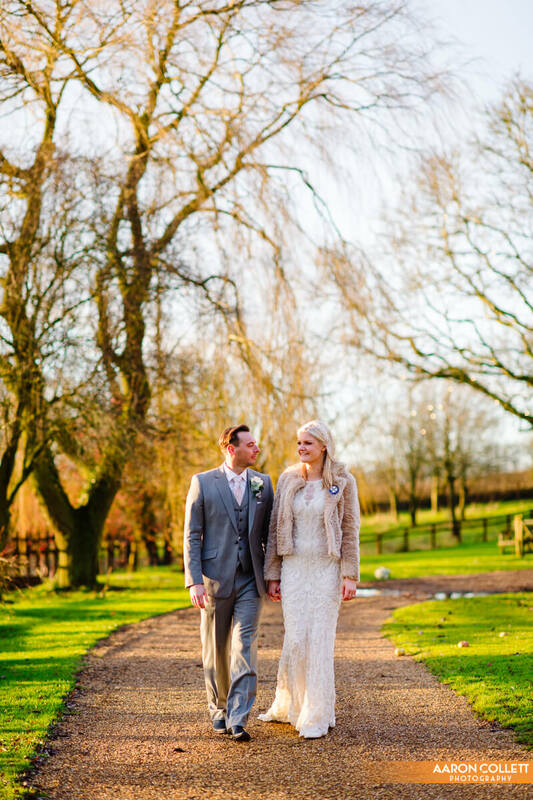 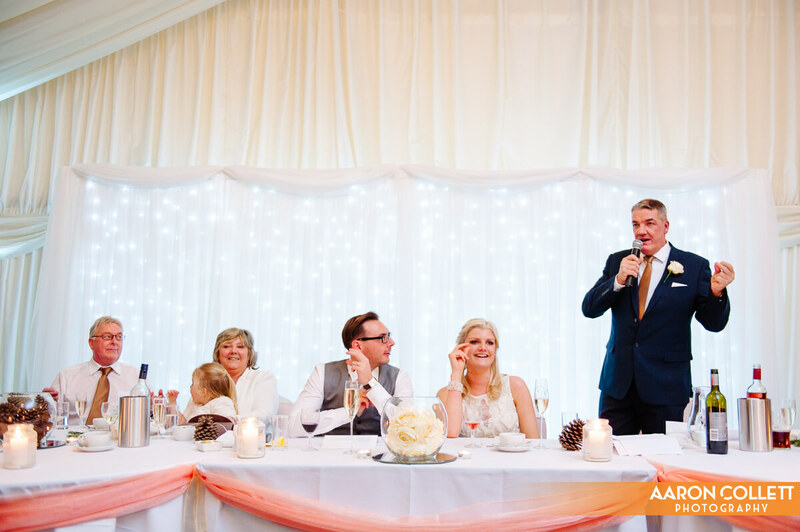 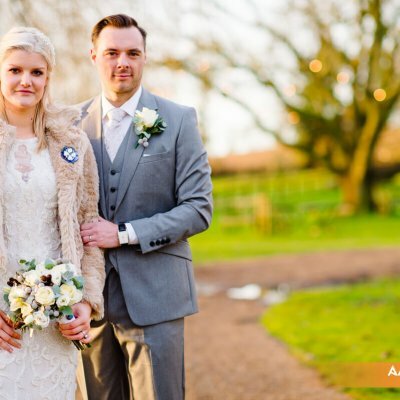 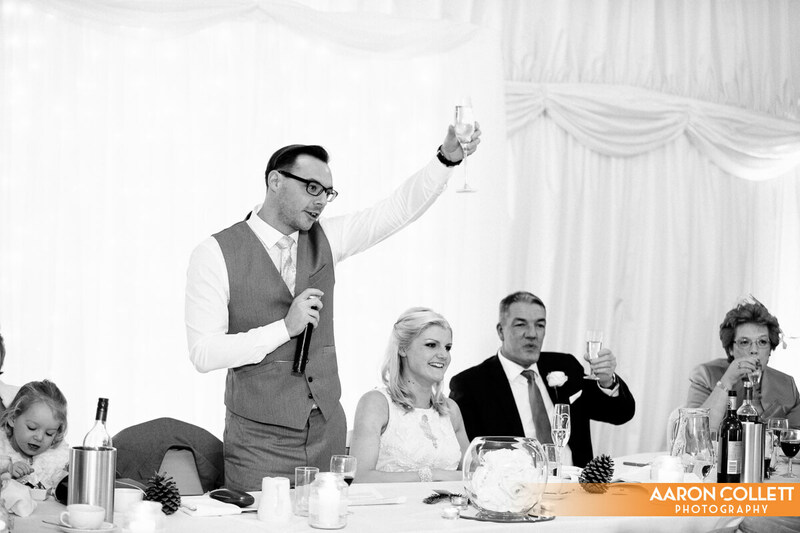 Photographer Aaron Collett has done a wonderful job of capturing the spirit of this festive New Year’s Eve wedding. 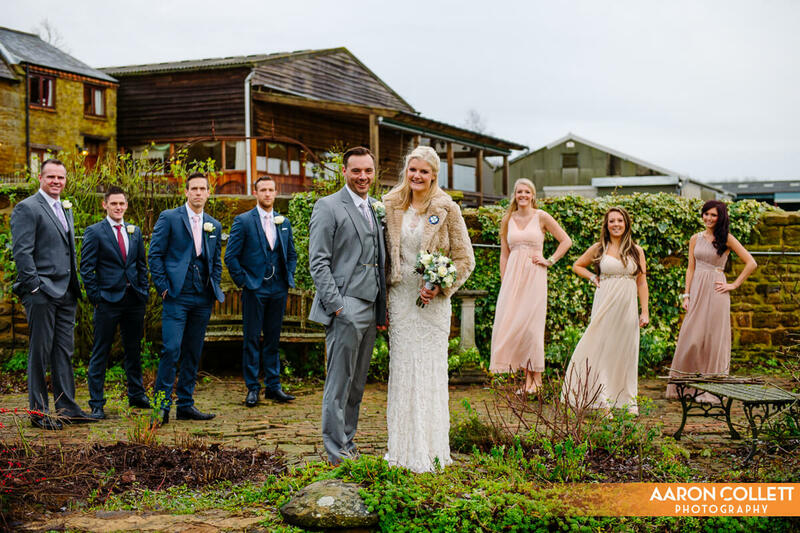 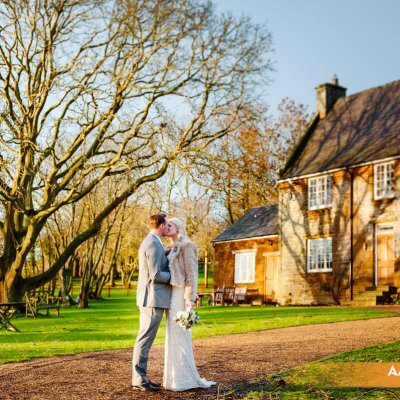 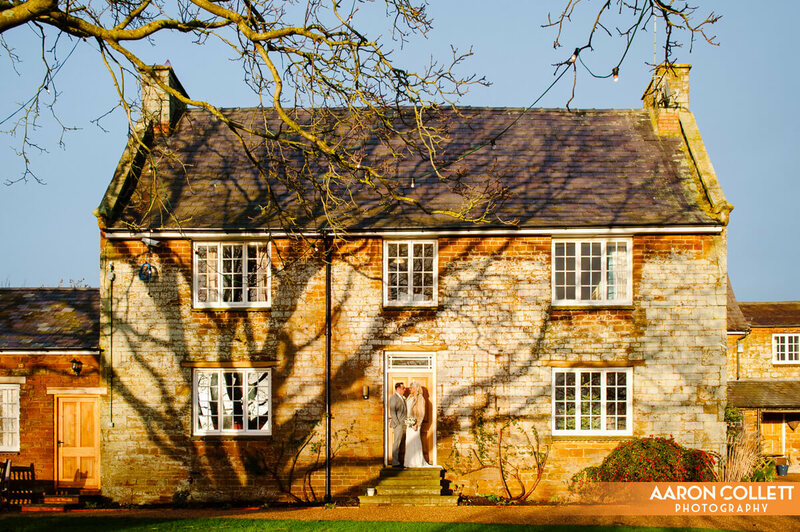 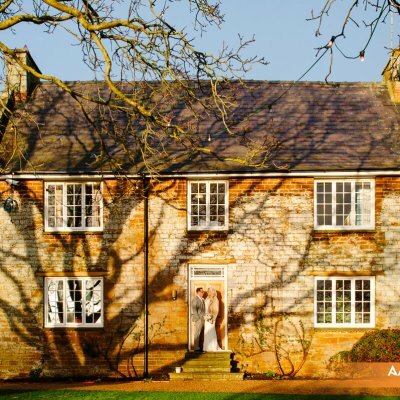 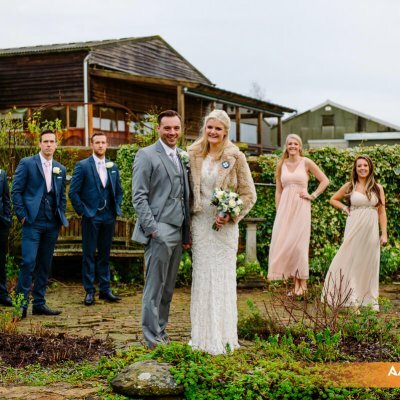 Natalie & Lee both made use of the cottages here at Crockwell for preparations before the ceremony with their bridesmaids and ushers on hand. 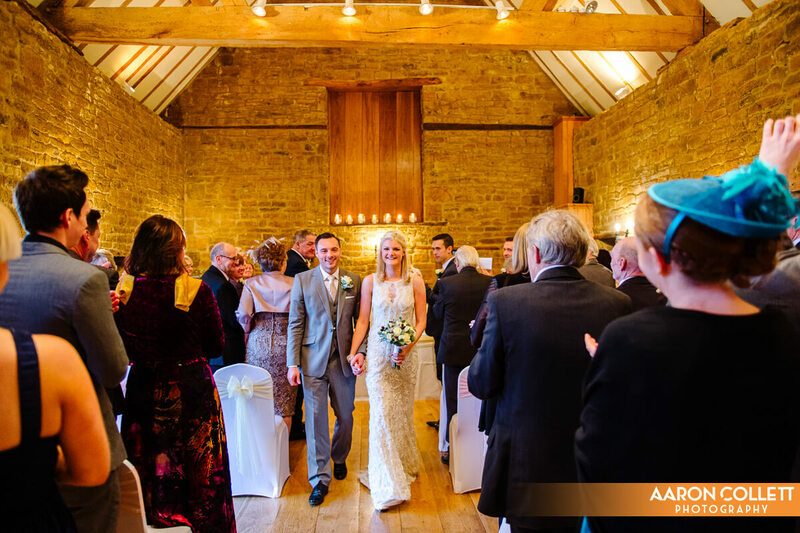 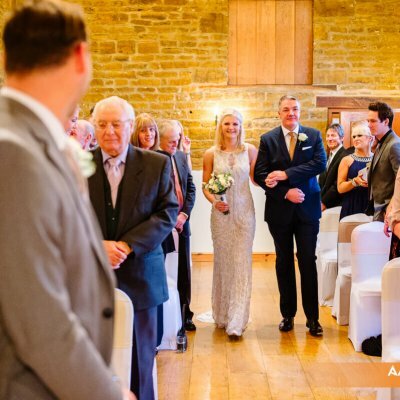 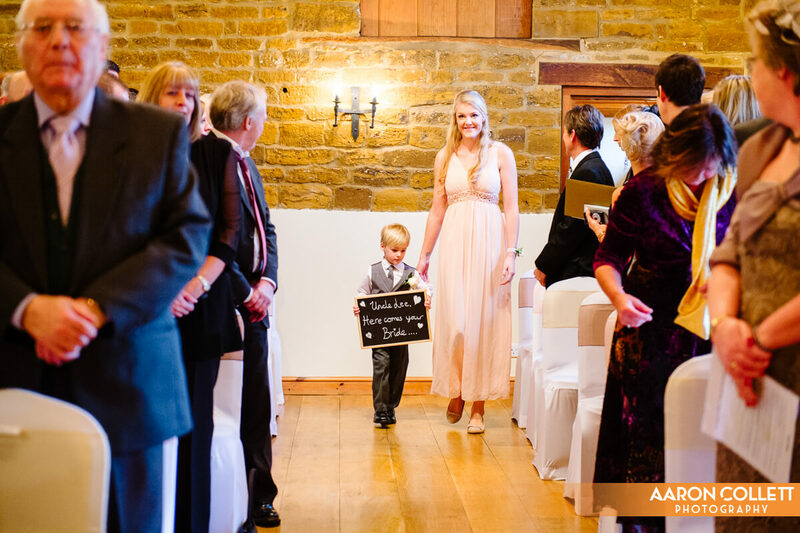 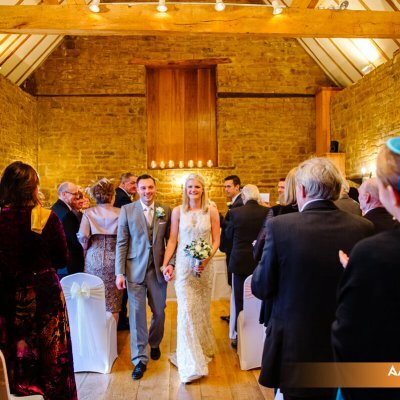 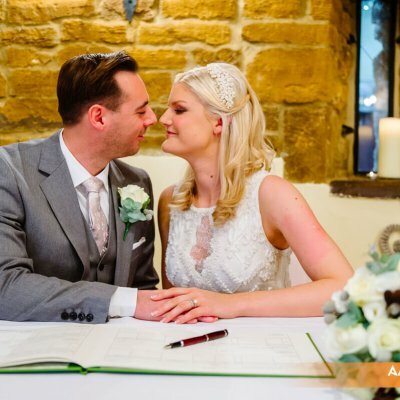 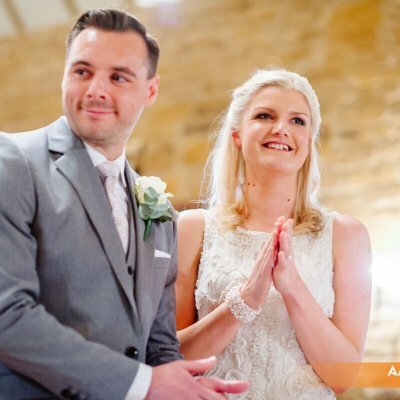 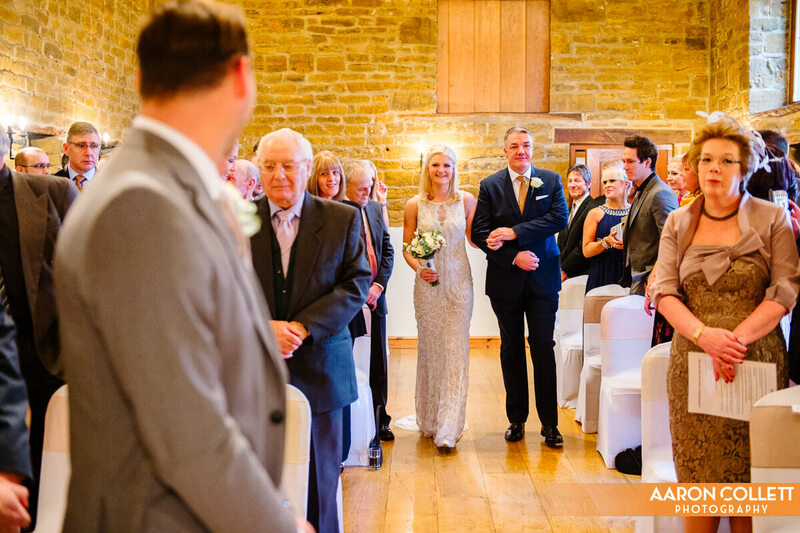 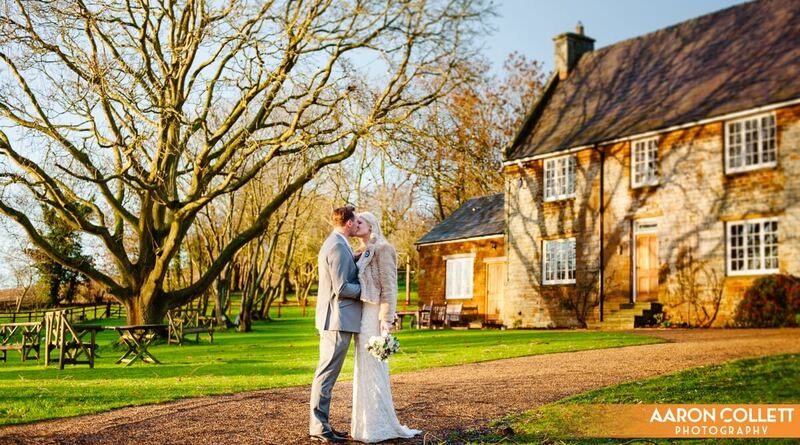 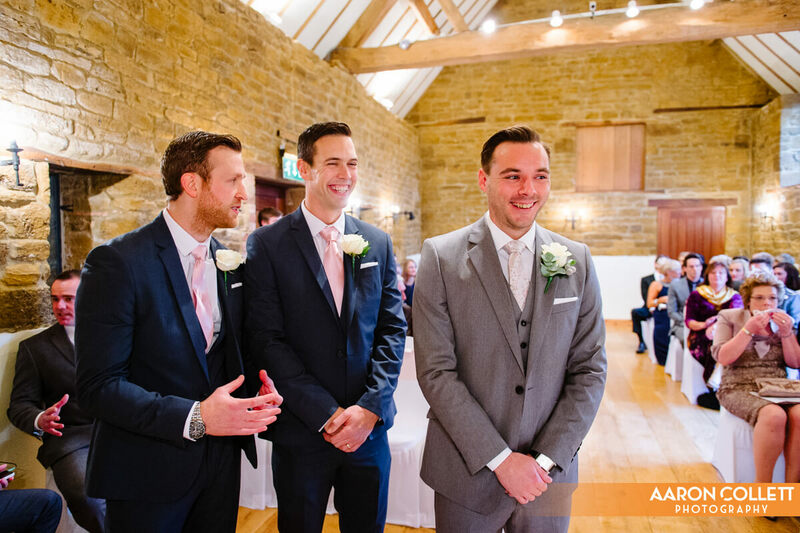 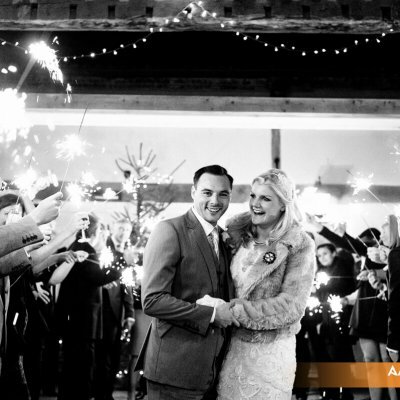 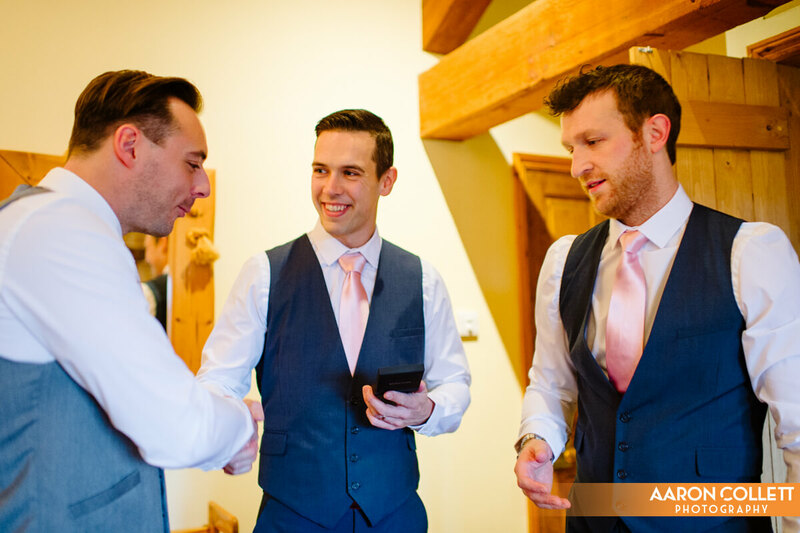 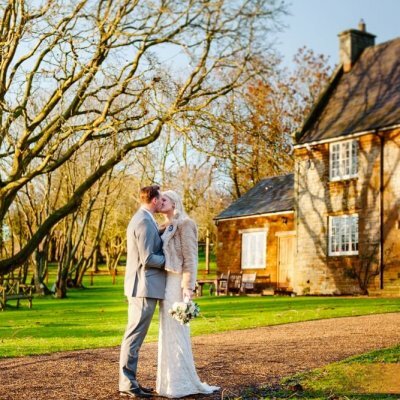 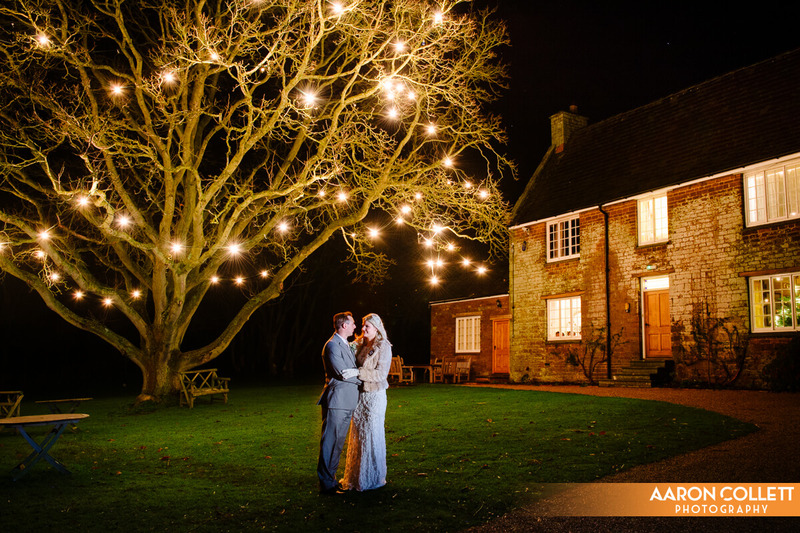 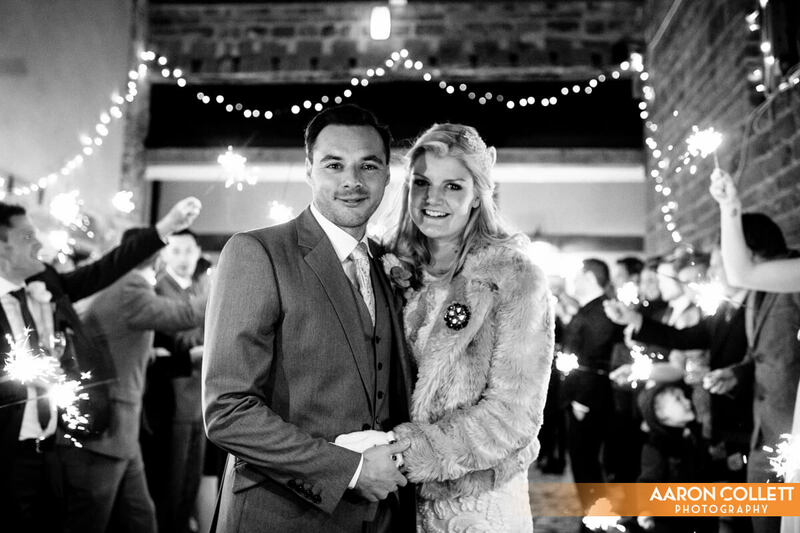 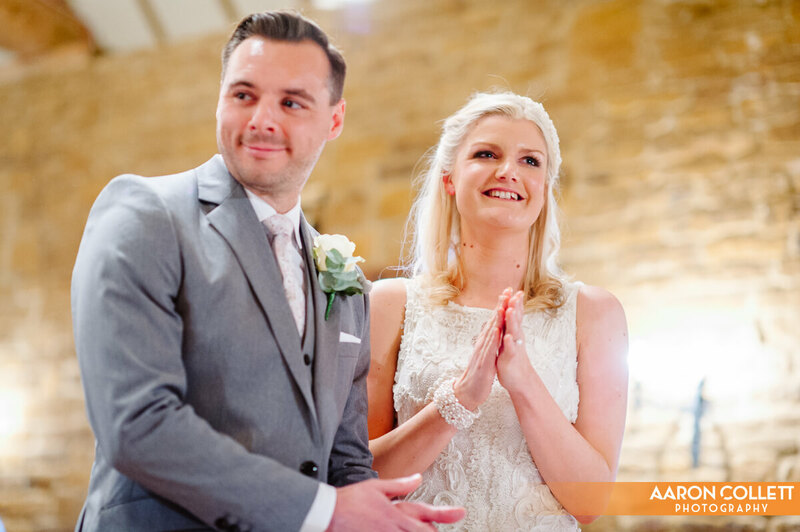 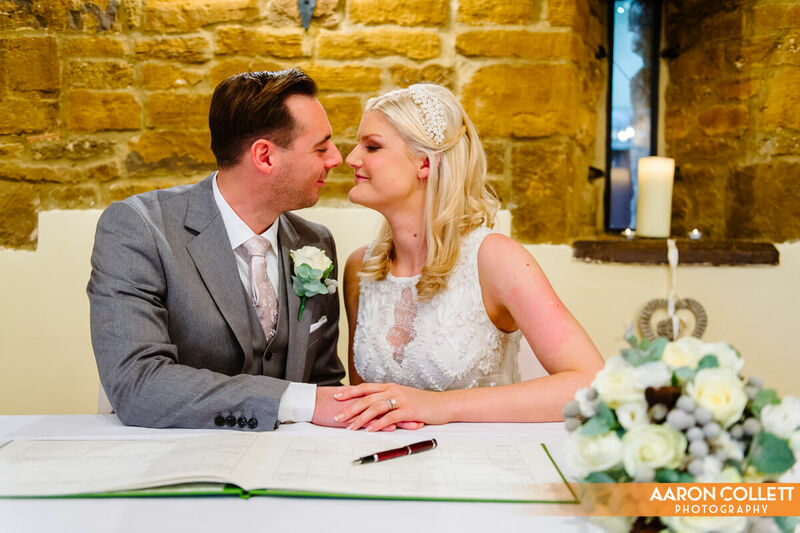 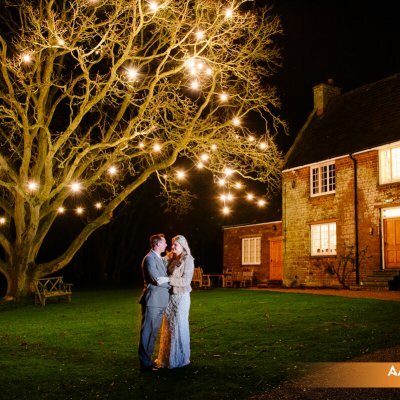 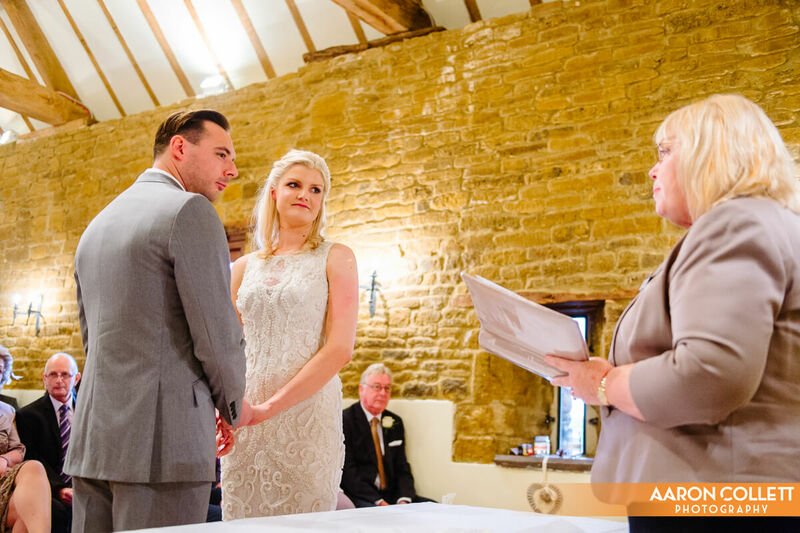 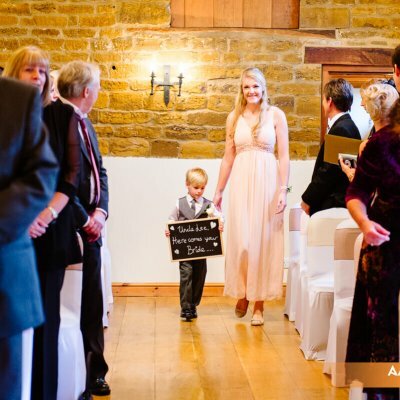 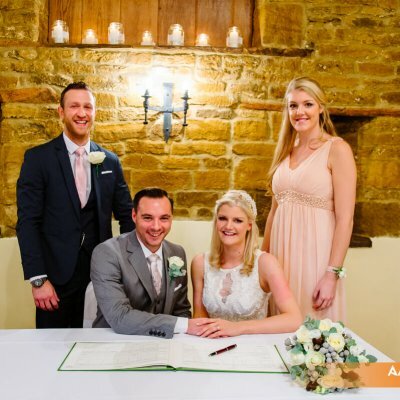 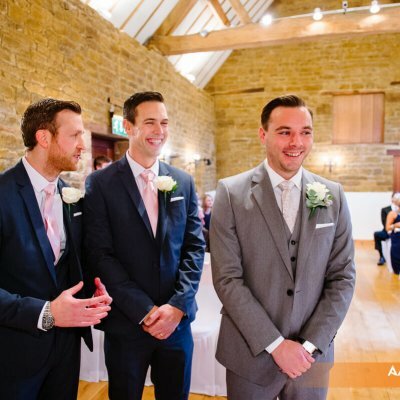 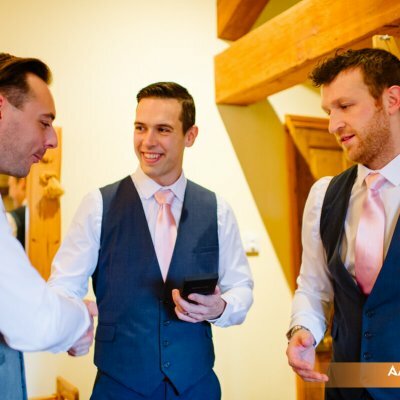 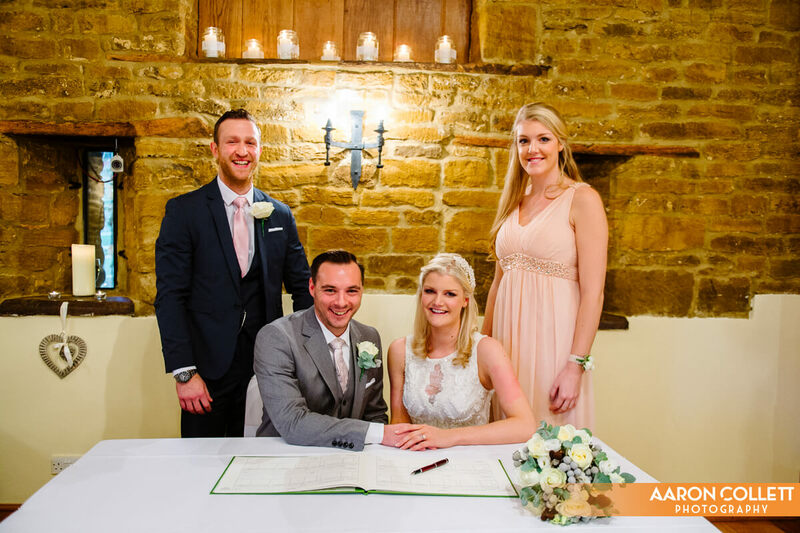 The ceremony took place in the vaulted barn which looked magical with candles in the alcoves. 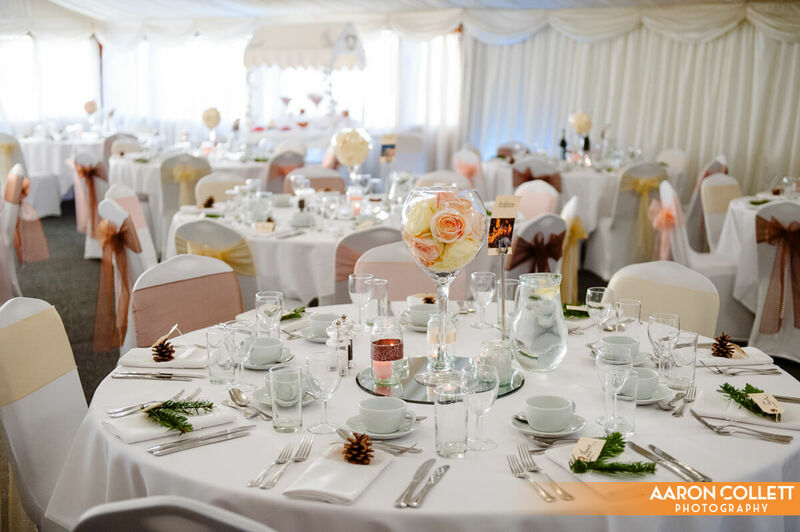 After the ceremony, the wedding party were served reception drinks in the bar marquee and hall, while the bridal party ventured outside for photos. 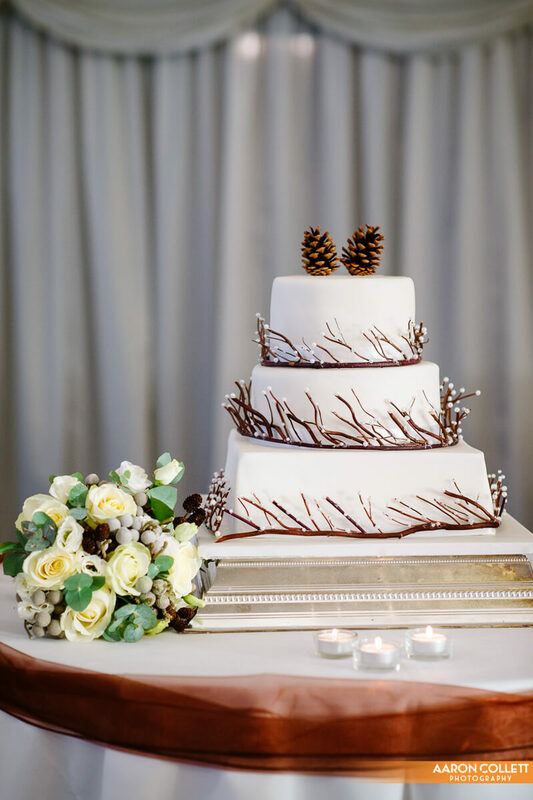 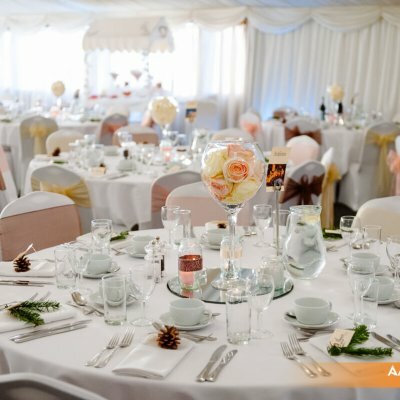 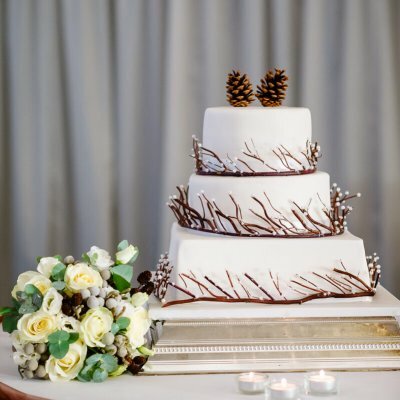 The marquee was also lit with candles and fairy lights including Christmas trees and the tables were decorated with flowers as well as sprigs of fir and pine cones. 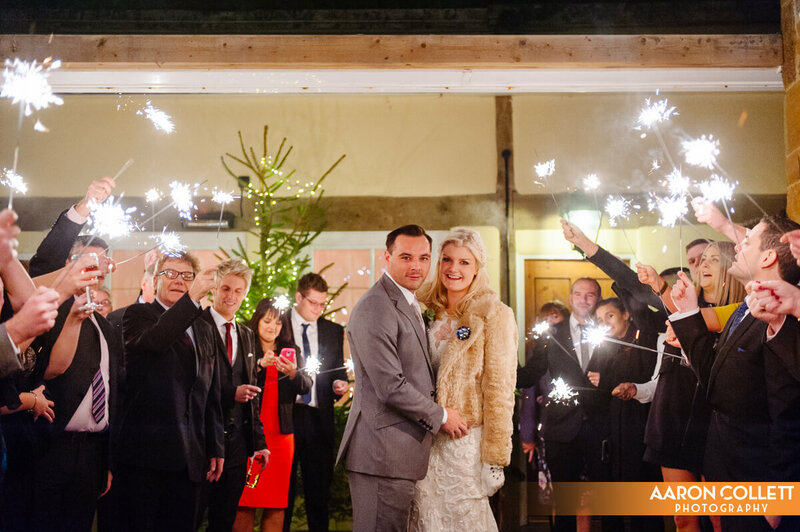 The stone archway made a great backdrop for evening photos with sparklers before guests danced the night away into the New Year.